I’ve been wholly engrossed within the world of Assassin’s Creed Odyssey for the past several days, and while I can’t say very much about it right now, Scholarly Gamers are delighted to be able to share with you some of the spoiler-free gameplay that we have captured so far. In this video we’re also treated to some of the other features in Assassin’s Creed Odyssey, including the dynamic weather system that sees a steady downpour of rain as I work my way through the bandit camp, as well as the bustling livelihood of the town which has so much life breathed into it. In this scene I begin by taking out a bandit encampment that’s been established in some old ruins, when I stumble across an undiscovered Mercenary which adds another layer of difficulty to the combat. I accidentally draw the one bandit leader away from torturing that poor civilian when he spots me, but I’m able to use it to my advantage to quickly dispatch of him in the long grass. From this point I focus on the Mercenary, opting to use my Stealth Attack to deal substantial damage to him before engaging the entire camp in a brutal melee which almost ends up with me getting cornered before I’m able to dispatch my foes. After I’ve looted all of their bodies and the surrounding ruins, I venture into the small fishing village of Pagai where I come across a request board absolutely filled with tasks that Kassandra can take on to gain drachmae (currency) and experience. I opt for a relatively simple assassination mission, which sends me after a politician at the nearby docks. On the way to my deed however, I encounter a Spartan Hoplite commander who has had a vital map stolen from his camp by suspected Athenians. Since we are playing in Exploration Mode, we use the hints that are given to us to pinpoint a suspected location on the map, and then head there with our eagle Ikaros to pinpoint the location. We easily dispatch of an Athenian contingent before releasing our would-be thief, and taking one of the many opportunities in Assassin’s Creed Odyssey to make a substantial choice. 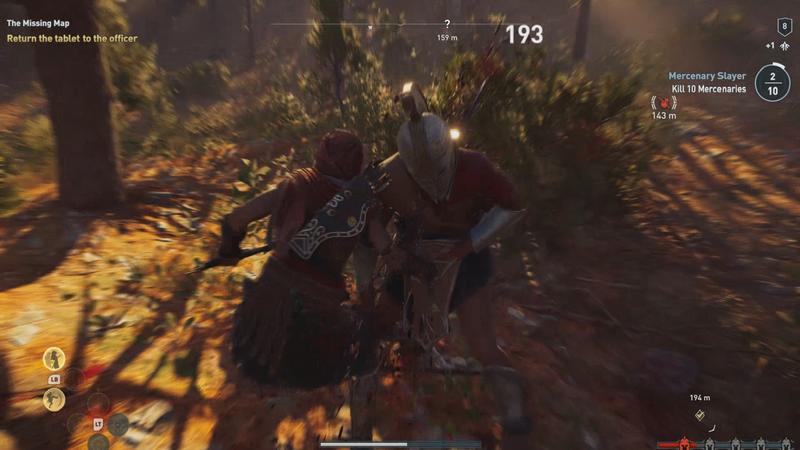 As my Kassandra tends to be a more compassionate individual, we decide to strike a deal with the man to spare his life. On our way back to deliver the tablet we are ambushed by another Athenian contingent who are none too pleased with us, so once again we show off the new Odyssey combat system — including some well-placed Spartan kicks — to take care of our latest attackers. Unfortunately, my attempts to bring a wounded Athenian back to the Spartan camp as a gift do not go as planned, and I end up upsetting an entire camp of hoplites. 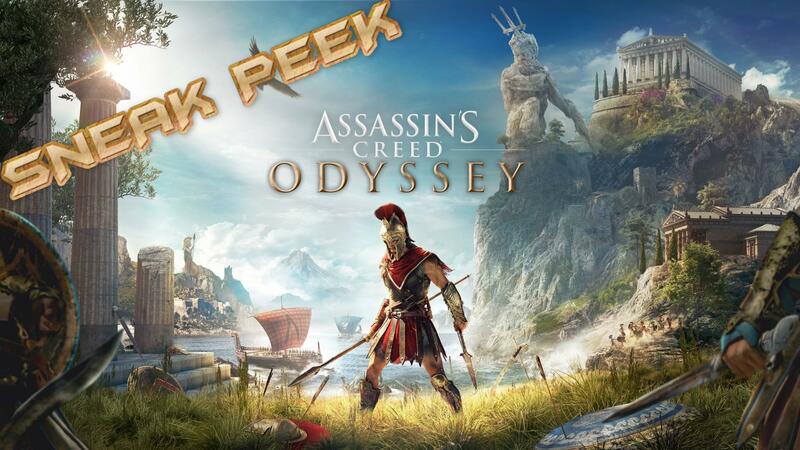 Check back for our full impressions of Assassin’s Creed Odyssey coming with our official review on October 1st at 7am EST.